Now you can get the hardware of your choice, as Bigfoot Gun Belts is proud to offer your choice of Bigfoot belt buckles. No longer is the buyer confined to the choice of one or the other - you can get both, or multiple of the same finish. We certainly can't blame you - these buckles look great and work better than any other gun belt buckle out there. 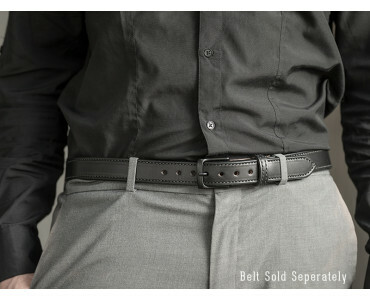 Both finishes for these double-tough roller buckle designs look smart with any belt - though they are best with ours. However, appearances aren't everything as they are designed for function first. The roller helps guide the belt tail through smoothly, ensuring your belt never gets scratched or scuffed by the hardware. It pulls through like it was on rails, until you reach the desired belt hole and fasten the belt. 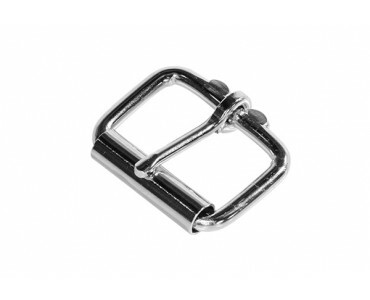 These buckles are also corrosion resistant, to give the wearer years - if not decades - of service. Whether you select the black or stainless model, both feature a finish that doesn't allow moisture, sweat or anything else to eat away at the finish. 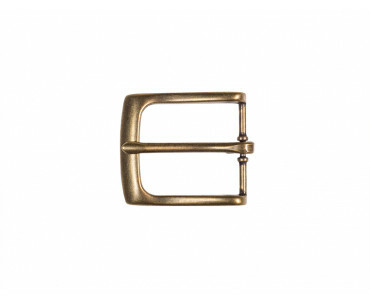 Oxidation, schmoxidation - our belt buckles are tougher than the elements. 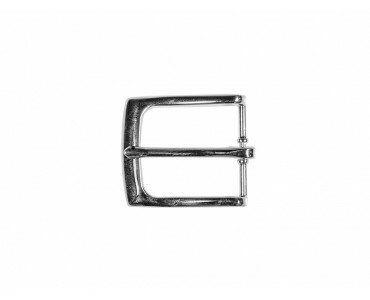 Everyone loves something shiny, and nothing will take the shine off our nickel plated belt buckle. 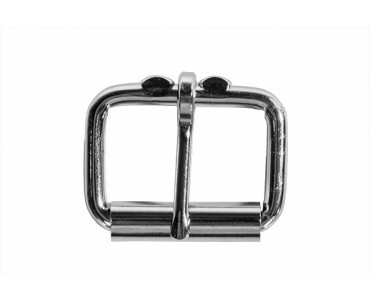 The stainless finish will guarantee that nothing will mar the shine nor the base metal of the stainless buckle. 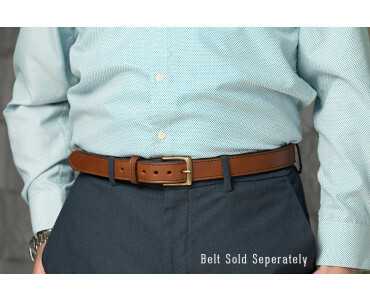 In fact, if you carry a stainless finished firearm, you can wear a belt with a buckle to match. However, some want something a little sleeker, a little darker - and you can give into the dark side with our black belt buckle. 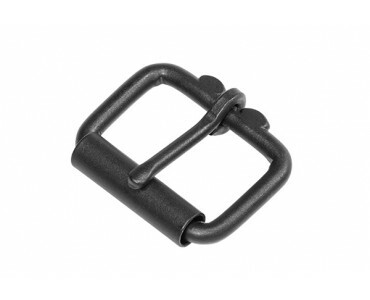 These buckles start with a strong base metal and add a powder coating as dark as the night and tough as nails. 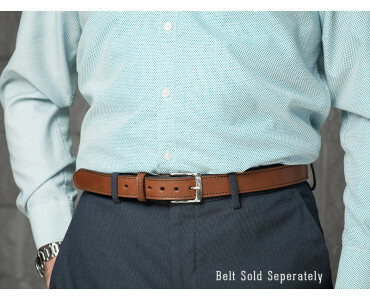 Black goes with everything, and especially well with our brown leather belt - but it goes even better with a black leather belt and hardware for a total blackout belt. 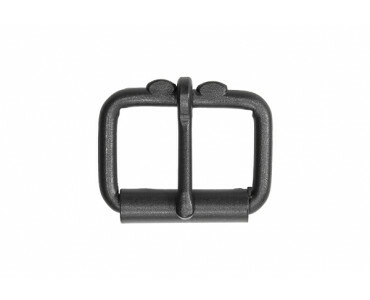 Since our belt buckle hardware allows for swapping belt buckles, you can switch between buckles as you see fit. Simply align the direction snaps correctly, and open. Swap the buckle out, re-align the snaps and close - and there you have it. 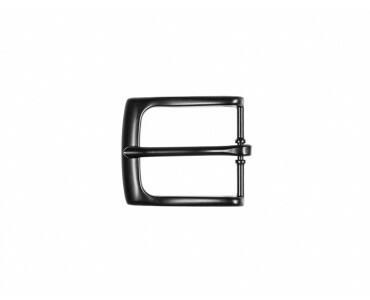 While the belt snaps can be opened, they're designed to stay tight as a lock until properly aligned for switching buckles. Our belt buckles, just like our belts themselves, are made classy enough to wear with anything and look good, but tough enough to carry anything.